The “No Practice Link” is used to notify the coaches and carpool coordinator that you will not be at practice. Rowers MUST use this link if they will not be at practice. The deadline for using the no-practice link is 10:00 PM on the night before the practice you will be missing. Just click this link: nopractice@mercycrew.org or see the link on the homepage top right corner. *If you have any recurring days that you will not be at practice, you can send one email with all the dates so as to avoid having to use the no-practice link every week for the same reason. Please do your best to complete this course by Friday, April 5 if you haven’t done so already. The training is suppose to be completed prior to the first practice. Those of you who have completed this training, if you could please provide me the date of completion so that I can update our records, I would appreciate it. Those of you who need to complete it, please let me know when you have. I will be sending follow up emails regarding this to update the carpool information. I will be sending out a weekly schedule with driving assignments. If there are any days where drivers are still needed (which I will note in red on the schedule), please consider volunteering to drive another day or, for those subbing, please try to fill in as you are able. 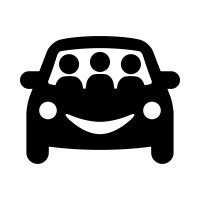 We have a large team this Spring needing to use the carpool. I do work full-time and can read emails but I do not have all day to change and have this ready for the girls to be transported by 3pm so that is why it is critical for all of us to look ahead on the week provided to you and fill in as quickly as possible. Drivers should please be at Mercy by 2:50 pm. Pick up is at the curb on the side of the building to the left of the gym doors. Go up the hill toward the track and softball field parking area, turn around and form a line of vehicles there so we are not blocking others and can easily pull out to leave the parking lot. It is very busy at pick-up, so please be careful and patient. ** One side note from my experience of carpooling the girls love having a snack on their ride over. I have found a bag of pretzels, chips, etc they can pass around is great and they are always so thankful!! Just a suggestion!! Providing snacks for rowers is optional. Look forward to a great Spring 2019 season. Please let me know if you have any questions.